The Summer Club at Greenknoll is an alternative camp experience offering both indoor and outdoor activities. Indoors, children have the opportunity to play board games, computer games, stay out of the sun and stay cool in our air-conditioned space. Children also have the space for small groups and individual play. Outdoors, children have the opportunity to participate in different activities such as ropes courses and team building (age requirements), music and nature, as well as use of the playground, sand, outdoor pool, and gaga pit. Children at Summer Club will also participate in YMCA Camp Greenknoll Fun Day Friday activities. The Summer Club at Greenknoll will also take field trips to several off-site locations, like Lake Compounce and Splash Down Beach, in addition to participating in several in-house field trip programs that provide workshops at our facility. Come explore with us as we explore the ocean in our Under the Sea week. Learn about sea creatures,command the sea or save your tribe from a shipwreck. On Friday come dressed as a sea creature, a scuba diver, a mermaid or a pirate- whatever floats your boat! Let’s party at Camp Greenknoll for our party at the Y week. Play backyard games, enjoy some friendly competition and show your patriotic flare as we celebrate Independence Day! Grab your capes and masks and join the call for superheroes at Camp Greenknoll! Fight villains, sneak your way through obstacles and save the day at our superhero week. Be sure to remember your crime fighting outfit for dress up on Fun Friday! Step right up! Come one, come all! Come to camp and have a ball! It’s carnival week at Greenknoll; play games, win prizes but most importantly-have fun & make memories with friends! Water balloon fights, sponge relays, sprinklers-come fight the heat at Camp Greenknoll’s water wars. The week will be spent playing various water games and end with a massive water war. But watch out, your friends may become your rivals when it comes to water- prepare to get soaked! One of the most anticipated weeks of the summer, come join as us at Camp Greenknoll for our annual Red vs. Blue color wars! Last year red stole back the trophy in a celebrated upset. Can blue team be stronger this year to reclaim the trophy or will red continue to be reigning champs? It all depends on you! A week of song, dance, memories and hilarious outtakes. Come to our camper show week as each tribe creates its own unique performance to present to camp & families on Friday. Rain didn’t stop the awesomeness last year! Sean has been training all year in preparation for Greenknoll’s return of Olympics games. Do you think you’ve got what it takes to compete, or even win the gold? Come find out! For your convenience the YMCA accepts Master Cards, Discover, Amex, Visa, and debit cards. Field trips include both off-site field trips, like Lake Compound and Splash Down Beach, as well as in-house field trips where organizations like MadScience and the ClayPen come to our facility to provide interactive workshops and learning activities. A $15 registration fee is charged to all campers. Each Monday children are tested and placed in the appropriate swim level. During the week children are taught appropriately. At the end of the week children are retested, some children may remain at their level and some may up move up to the next level. Swim is offered twice per day, morning is instructional and afternoon is recreational. Some children, regardless of age may require a life vest. Life vests are given to campers based on their swimming ability and in some cases their height. It is at the discretion of the Aquatic staff. Swim Instruction is taught by Red Cross Certified instructors. What is the difference between YMCA Camp Greenknoll and Summer Club? YMCA Camp Greenknoll is an outdoor program with approximately 350 children per week, which are broken into groups based on gender and grade. All activities are outdoors. YMCA Camp Greenknoll does not participate in field trips. Camp Greenknoll also runs for 9 weeks. Greenknoll Summer Club is a smaller program based indoors with no more than 50 children. Children in the Summer Club program are for the most part, one group, but are split by age group for swimming lessons. Summer Club participates in one field trip per week. Summer Club also runs for 8 weeks. Can I go to both camps? Yes, you can sign up for different weeks at both Summer Club and YMCA Camp Greenknoll. When does Summer Club start and end? Summer Club will begin on June 24th and ends on August 16th. Do I have to sign up for all 8 weeks? No. You can sign up for 8 weeks or 1 week. To get a more complete experience, most families sign up for 3 or more weeks. You only pay for the week(s) you are attending. How much does it cost to attend Summer Club? The cost per Summer Club varies. Greenknoll Summer Club is $295 per week. There is also one time $20 registration fee Field trips and a t-shirt for field trips are included in this tuition rate. Summer Club scheduled activities are from approximately 9:00am – 4:00pm. We also have extended care from 7:00am – 9:00am and from 4:00pm – 6:00pm at no extra cost. What are the themes for Fun Day Fridays for this summer? 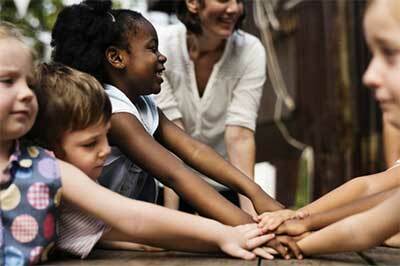 Are the children divided into groups? At Summer Club the children are usually together as one group. However, for swimming lessons and field trips, children are broken into groups. Do you provide transportation to YMCA Summer Club? No. Transportation is the responsibility of the parent/guardian. What do the kids need to bring with them each day? 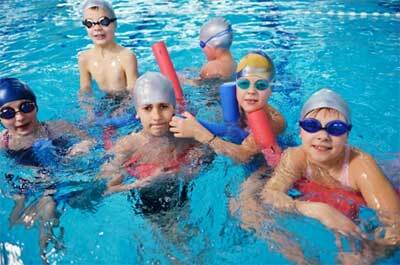 Children should bring Sneakers, sunscreen, water bottle, towel, and goggles if they like to wear them while swimming. Also, bring a backpack or something to carry these items when going outside. Should I pack sunscreen and bug repellent? Absolutely. If your child is sensitive to bug bites and sun, both are recommended. We ask you apply sunscreen in the morning before coming to Summer Club. Younger children will receive help applying sunscreen and older children will be supervised. Children will be encouraged to reapply during the day. Yes, campers will be able to choose a cubby to keep their belongings in. There is a hook and two compartments to put back packs, lunch boxes, sunscreen, towels, sneakers/flip flops, etc. How do you travel to field trips? Summer Club will travel by school bus for each field trip. Should children be dropped off ready to swim? They can be, but they don’t have to be. We will have time in the morning to change into swim clothes in the two bathrooms within our facility, provided you arrive before scheduled swim times (a schedule is available in the packet provided on your first day, as well as posted on the front bulletin board). A change of clothes is recommended whether your child/children arrive ready to swim. It can get chilly being in the air-conditioned Annex (our “home base”) while wearing wet clothes. How do swim lessons work? Each Monday children are tested and placed in the appropriate swim LEVEL. During the week children are taught appropriately. At the end of the week children are retested, some children may remain in their level and some may up move up to the next level. How many times does my child swim? Twice per day. Mornings are swim instruction and afternoons are recreational swim. What is my child can’t touch the bottom in the shallow end? Any child that cannot touch the bottom or is not a h3 swimmer, which is determined by the lifeguard, must wear a life vest. The YMCA will provide life vests. Children are given a bracelet identifying them as deep end swimmers or shallow end swimmers. This is for the safety of all our children. If you do send your child/children with spending money on a field trip, please make sure it is exact change. (We cannot make change with other campers’ money, nor are siblings always guaranteed to be in the same group or at the gift shops at the same time). A reminder for your child/children to wear their Summer Club shirt (if they do not have one, they will receive one on the first Wednesday they come to camp, but we do not have extra for campers that lose them). Campers will also be split into groups depending on the field trip. (For example, at SplashDown groups will be determined by swim level, at Lake Compound groups will be determined by height, etc.) Groups will be approximately 8-15 children, supervised by 2-3 counselors. Do we need to call if picking up early? Etc? A phone call, email, note, or even just informing the morning staff is fine if you are picking up early. Morning staff will leave a note for the afternoon staff about what time your child/children should be ready to be picked-up. However, if you are sending someone new to pick up your child a note/email is required, in addition to a photo ID upon his or her arrival. Please note, for your child/children’s safety, some parents may even be asked to show ID at pick up the first few days your child/children are at camp because the staff that work in the morning differ from those who work in the afternoon. Pick-up will be in the Annex after 5:00PM on most days, any earlier and we will be at Camp Greenknoll. Whom do I notify if my child will be absent? Parents should call Summer Club at 203.775.2840. I need to be at work early. What can I do? To meet the needs of the working parent, children may be dropped at Summer Club at 7:00AM and picked up no later than 6:30PM. May I come to visit my child at Summer Club? Yes, parents can visit the Summer Club at any time to observe their child. If concerns arise or special issues need to be addressed, parents are encouraged to speak personally with a staff member or the Summer Club director. In the case where you cannot pick up your child and someone else will, we ask that you inform us. An email or fax stating the full name of the person may be sent. Your child’s safety is important to us, therefore unknown persons will be asked to present an I.D. to Summer Club staff. Is there an emergency phone number? YMCA Greenknoll Summer Club phone number is 203.775.2840. If we are outside and not able to answer the phone, you can leave a message or call the Camp Greenknoll office at 203.775.9363. Someone will be able to assist you. Does my child need lunch every day? Children must bring a lunch each day. There will be some field trips in which we cannot bring in any food into the venue, in such case you will have to send in lunch money. Lunches brought in by Summer Club children can be stored in the refrigerator. We do encourage you to pack lunch with an icepack. PLEASE DO NOT SEND IN PEANUTS/PEANUT BUTTER. How should my child dress for Summer Club? Dressing your child appropriately is important to ensure that your child has a good time at Summer Club. Shorts and t-shirts, sneakers and a sweatshirt are standard dress. No open toed shoes are allowed except on the pool deck. Swimming occurs daily, so a bathing suit and towel are necessary. It is helpful to have children use a backpack of some kind so they can keep track of their belongings. Clearly marking your child’s name on all clothing and towels will reduce the possibility of lost items. In the event that there is liquid sunshine (rain) activities will be going on as scheduled. Summer Club is held despite liquid sunshine, so it is helpful to send rain gear with your child. Although outdoor activities will be available some exciting rainy day activities will be planned. It is the goal here at YMCA Summer Club Greenknoll to provide each child with a fun, healthy and safe summer experience. Children are treated equally and responsibility, caring, respect and honesty are the cornerstones for learning and understanding the Summer Club rules and abiding by them. Children may be given some time to “cool down” and the opportunity to discuss the problem with the staff. If progress were difficult we would ask you to help. If this is not productive, a day away from Summer Club will be discussed. Should behavior continue to be a problem after a full day time out, and then the child will be asked not to return to Summer Club. 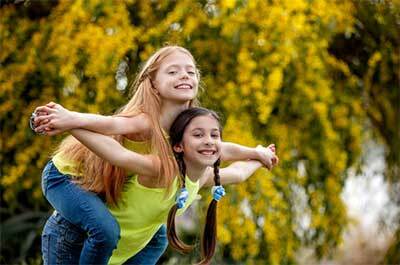 If my child attends Summer Club am I able to get childcare tax credit? Yes. A tax letter is sent out at the end of the year. My child takes medication, what do I do? As a licensed program, we must follow strict guidelines. You must fill out an Administration of Medication form, which gives us permission to administer medication. This is for both prescription and nonprescription medication. We cannot give any medication without this form being signed by the doctor and parent. Some staff will be trained in administration of medications. Medication can only be given by those staff. Medication must be in the original container and have the physician’s name, dosage and expiration date on it. All medication except for inhaler or Epi-Pen is kept locked up. 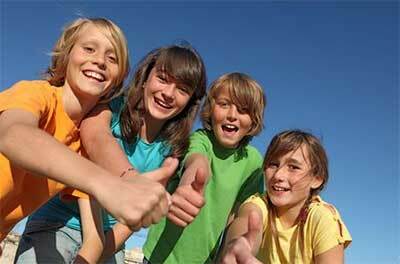 Can my child bring personal belongs to Summer Club? We discourage children from bringing any personal belongings to Summer Club. The YMCA cannot and will not take responsibility for any person belongings. What is Summer Club’s policy on electronics? Due to an open WiFi in our building, we ask that electronics devices with the ability to connect to WiFi remain at home. However, if your child/children do have devices that will not connect to WiFi, they may bring them in on Thursdays. Additionally, due to “screen time” policies, children will be limited to 30 minutes per day on these devices. If you choose to let your child/children bring in these devices, they are the responsibility of your child/children, not the staff at Summer Club or the Regional YMCA. Label your child/children’s belongings! When towels, goggles, lunch boxes, etc. get misplaced, it is extremely helpful to staff if they find a name on the item in order to get it back into the right hands. Check out the front bulletin board and table every week! It will have everything you need to know about what’s going on!